The agency has hired Sally Barton as head of the U.S. healthcare practice and Susan Goldstein will take on a dual role as chair global healthcare practice and president of growth initiatives. NEW YORK: Ruder Finn has made two changes to its top leadership. The agency has hired Sally Barton as head of the U.S. healthcare practice, and Susan Goldstein will take on a dual role as chair of the global healthcare practice and a newly created position, president of growth initiatives. Barton, previously an EVP at Ogilvy Public Relations, will oversee operations and strategy for the U.S. healthcare practice, including seeking business, working on emerging areas in the healthcare market, and managing the practice’s roughly 50 employees. She is reporting to CEO Kathy Bloomgarden and is based in New York. "We want to be a little think tank here and come up with something different," Barton said. "We don’t want to change what's already working, but to find and evolve what we’re great at already." 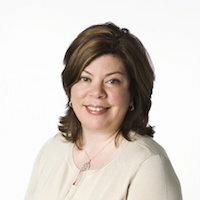 Prior to Ogilvy, Barton was head of North American healthcare at Cohn & Wolfe, New York healthcare practice head at Hill & Knowlton, and SVP at Ketchum and Edelman. Goldstein will focus on working globally with practice leads, expanding her focus from just working with healthcare practice chiefs to working across other areas on growth initiatives and new offerings. Barton and Goldstein’s new positions are part of a series of recent staff changes at Ruder Finn, including changes to its corporate practice leadership in May and a new technology head in Asia. "We’ve had a number of changes and people moving into senior roles," Goldstein said. "[Bloomgarden’s] focus is to be strategic in hiring and to capitalize on veteran leaders."